Looking for great ways to display quilts? 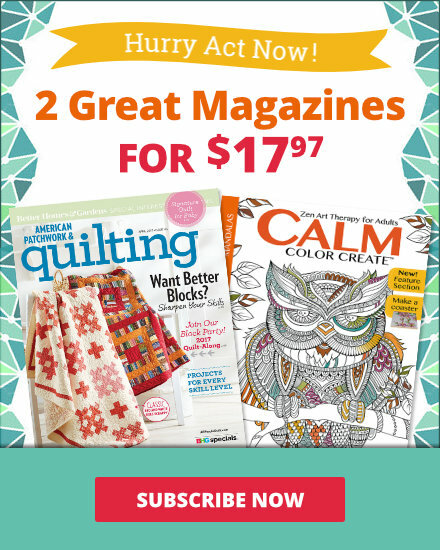 Here are both traditional and modern ways to make your quilting designs part of every room in the house! Drape a quilt on the bottom of a staircase railing to fill hard-to-decorate spots. The quilt will add warmth to the wood or metal stair accents and keep the eye from looking through to other rooms. Smaller quilts can be draped over the door of a cupboard. Close the door slightly to keep the quilt secure. This is perfect for cupboards with windows, since it hides unsightly kitchen supplies or clutter. Lay a skinny table runner on a side table so it hangs down. It allows a peek at the quilt without overwhelming the decor of the room. Plus, if it hangs low enough, it can hide clutter on the bottom shelves of the table. Use a multicolor quilt as a headboard. You can easily change your bedding to a matching color for a quick update! Attach a hanging sleeve to the upper edge of the quilt, so the quilt can hang straight with little distortion. A larger quilt can be used as a decorative tablecloth to add color and texture to the kitchen or dining room. Use a favorite design on a table you don't often use. Or switch out the quilt with the seasons for decor that family and guests can enjoy all year long! 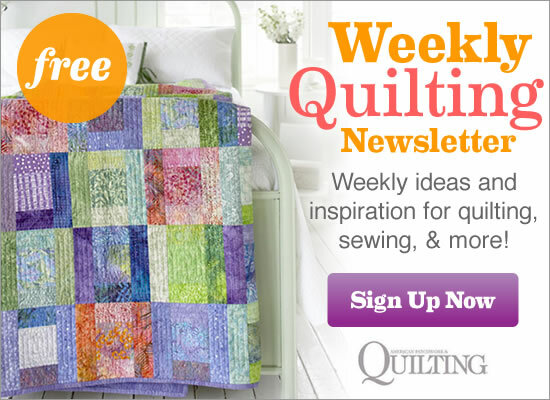 Treat your quilt as a giant work of art. Hang it in a bedroom to create an accent wall. A simple design can pull colors from the room for a modern piece of artwork. Or a scrappy wall hanging can add wamth and interest to balance neutral furnishings. Substitute a wreath with a mini quilt for a beautiful door hanger! Hang it from a wreath hook with ribbon and store-bought accents, such as greenery or raffia. A clothes drying rack can be a permanent display for airy quilts. Keep the rack set up in the laundry room or spare bedroom to add easy decor. If you need the rack, simply fold the quilt and set aside until clothes are dry. Elevate store-bought bedding with a quilted bed runner. You can easily switch it out to change the feel of the room. Lay it on the foot of the bed for a traditional look, off the bottom edge for a modern display, or down the middle to give little glimpses of the bedding below. A small quilt stand is perfect for tabletop decor. 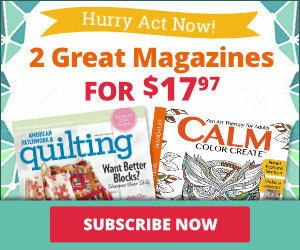 Use it to display mini quilts, single quilt blocks, or even beautiful embroidery projects. Its compact size fits easily on a table like a picture frame would. Frame a fireplace or mantel with a wall quilt. Choose mantel decor that matches the quilt for an enhanced display. This display is perfect for seasonal designs or to create a focal point around a beloved pattern. Off-center a quilt behind a couch or chair in the living room. Because the furniture will hide some of the quilt, it provides a quick pop of color without taking over the whole room. Neatly fold a quilt and set it on top of the dresser. Then partially undo the fold and drape it down the front. Not only is a neat design element to a room, but it can easily be grabbed when an extra blanket is needed. A large throw can be draped over a couch and tucked into the cushions. The quilt will be showcased, but won't add extra bulk to the back of the couch when not in use. Secure curtain-rod brackets above your bed at headboard height and add a curtain rod. Fold your favorite quilt to fit and drape it over the rod for a one-of-a-kind, custom headboard. 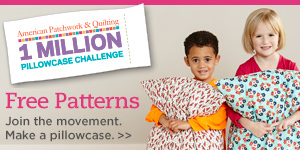 When you're ready for a change, swap the quilt with another one. 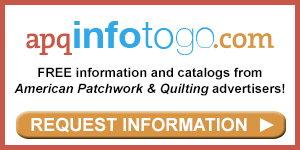 Many quilters have an assortment of individual blocks that never made it to a completed quilt. Instead of hiding them in a box, use those blocks to make a decorating statement in your home. Simply mount the pieced blocks onto contrasting mat boards, then add nonglare glass with matching frames and you've got a great wall grouping that reveals your love of quilting in a clean, classic way. Ladders are a great way to display your quilts, but here's a new idea. Stand a section of an antique picket fence on its end and drape the pickets with quilts. There are more pickets on a fence than rungs on a ladder, and since fencing is usually wider than a ladder, you can see more of your folded quilts. Instead of turning salvageable quilt pieces into pillows and purses, transform fabulous old quilts and unfinished quilt tops you find at auctions and garage sales into quilted chair cushions. Since they aren't perfect from the beginning, you won't have to worry about something being spilled on them. Designed for urban dwellers who don't want to hang traditional curtain rods on the wall, this telescoping rod uses tension to balance between floor and ceiling. Besides spicing up a so-so corner in your home, consider other ways to use this unconventional quilt holder, such as three rods placed side by side to create an artful room divider. The opportunity to turn another person's trash into your own treasure is one of the great aspects of yard sale and flea market shopping. When you're out and about, be sure to look beyond an item's intended purpose to see if there is a way it might be used to show off your quilts. This baby changing table turned display shelf got a new life with a coat of red paint. The shelves are spaced perfectly to showcase folded quilts when not in use, and the top shelf could be turned into a vignette with family photographs, dishes, or other home décor items. Use a striking quilt, such as one with vertical rows shown here, to direct your eye from the ceiling down to your bed. Be sure to hang the quilt so that there's no break between the bottom edge of the quilt and the bedding. For a serene, luxe look, paint the walls a color that blends effortlessly with the quilt's border. For small wall hangings, run a thin dowel through a rod pocket on the quilt back's upper edge. Knot a length of narrow ribbon to each end of the dowel to make a ribbon hanger. Then hang the quilt from the ribbon on a thin nail, perching a button on the nail to cover the nail head. If the shank on the back of the button isn't large enough to keep it in place, a bit of wall tack or removable wax will ensure the button stays in place. For designer Sandy Gervais' custom-upholstered sofa, she quilted panels large enough for the upholsterer to cut pattern pieces from -- in this case, rectangles bigger than the cushions' tops and bottoms, long strips for the gussets, and squares for the pillows. In this photo, Sandy's original artwork and antique bench turned coffee table complete the room's cozy look. Stacking quilts one on top of another is an idea that's been around for quite some time. But rolling them up and standing them on end like books on a bookshelf? Now that's a great idea. Here, designer Alex Anderson combined white pitchers and platters and unadorned, artificial trees to add interest to the display without taking attention away from the quilts. Show off several quilts at once by displaying them on an antique ladder hung horizontally, rather than vertically. This arrangement allows for more of each quilt to show, as well as making a powerful decorating statement in your room. Decorative wood shelf brackets and long wood screws can be used to hold the ladder in place. To prevent the ladder from discoloring your quilt, seal the wood with polyurethane or place a white cotton pillowcase between the quilt and the ladder. Cut a piece of wood or other sturdy material slightly larger than your container's opening. Use this piece as a pattern to cut quilt and batting pieces that are 1 to 2" larger around all sides. Place the batting on the wood piece, then use a running stitch to gather the fabric tightly over the batting and wood piece to complete the project. It's a perfect way to rescue parts of a quilt, or to share pieces of a well-loved quilt with several family members. Use a quilt to cover the cushions of a wood-frame sofa. Tuck in the ends for a fitted look or leave them hanging loose for a casual appearance. Add a mélange of favorite antique-linen-covered cushions and pillows you've pieced from leftover blocks, and you'll have a comfy spot to curl up on. If the sofa is used frequently, be sure to turn the quilt often to reduce wear and tear. This feed bunk, found at an antiques shop, is large enough to hold several bed-sized quilts. Lined with batting to protect the quilts and topped with glass cut to size, it makes a perfect coffee table. The quilts can also be rotated to change with seasonal décor. Using trendy curtain clips, suspend your quilt from a curtain rod. It's the perfect way to hang a quilt that doesn't have a sleeve on it, or to make quick seasonal changes in a snap. (Be sure to use enough clips to support the weight of your quilt, preventing undue stress on the fabric.) You can also try this idea in your sewing room. Consider removing closet doors and adding a curtain rod above the open door frame. Your favorite quilt can hang from the rod, keeping your stash out of sight and giving you another spot to display your artisanship.